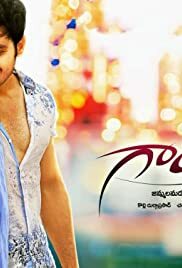 Gayakudu is a Telugu angsty teenager romantic love story. Siddhansh, the winner of Indian Idol and a singer. Eventhough after achieving alot of fame and money, he suffered with lack of love since his childhood. He will fall in love with Akshara who become a big fan of Siddhansh the singer and a brand new friend to Siddhu. She showers the love he has been craving for, but doesnt accepts his love.